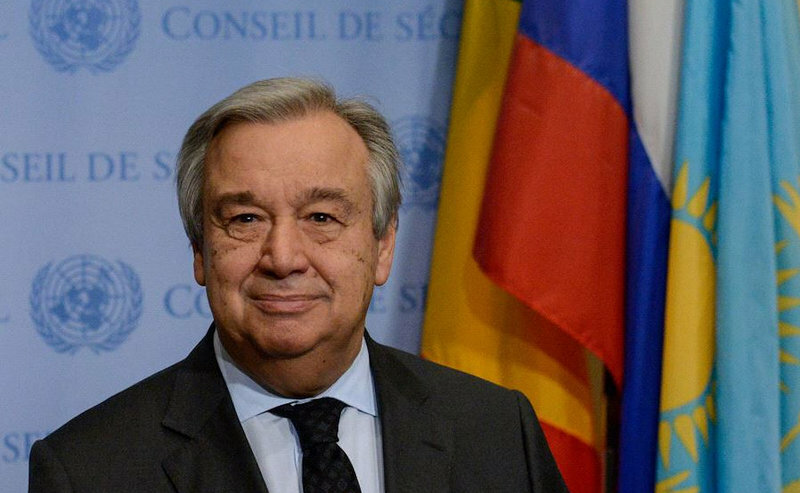 Antonio Guterres, the new secretarry-general of the United Nations, has come under fire for stating in an interview with 'Israel Radio' that "it is completely clear that the Temple that the Romans destroyed in Jerusalem was a Jewish temple." The former Portuguese prime minister, who took up the UN's top job earlier this month, added that there could be "no doubt" that Jerusalem was holy to all three of the major monotheistic religions. Guterres also said that he had no intention of pushing for a peace process between Israel and the Palestinians, though he believed in the two-state solution and would assist in that goal if asked. A Palestinian Authority official was quoted by the 'Jerusalem Post' as saying that Guterres' remark "ignored UNESCO’s decision that considered the Al-Aqsa Mosque of pure Islamic heritage" and added that the UN secretary-general had "violated all legal, diplomatic and humanitarian customs and overstepped his role as secretary general…and must issue an apology to the Palestinian people." Ahmad Majdalani, a member of the PLO Executive Committee said that Guterres' statements undermined the trustworthiness of the UN as a body.